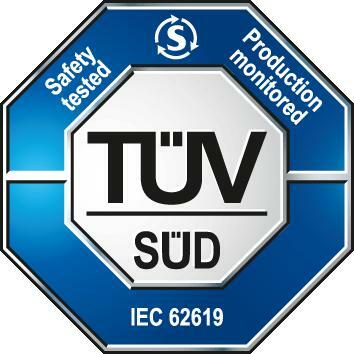 Sealed Performance Batteries (SPB) are pleased to announce we have recently obtained IEC62619 certification for our complete battery (Cell and BMS) across a number of key products within the Sentry Lithium battery range. Among other things, the IEC62619 certification covers safety requirements for secondary lithium cells and batteries, for use in industrial applications. Stationary applications: telecom, uninterruptible power supplies (UPS), electrical energy storage system, utility switching, emergency power, and similar applications. The IEC62619 testing and certification includes rigorous testing to ensure the highest safety in achieved and includes testing for abuse conditions such as internal short circuit (cell) and propagation (battery system), impact and drop test, thermal abuse (extreme heat and cold), over charge and discharge situations. The testing also includes a factory audit undertaken annually to ensure components and processes continue to apply to the highest quality standards. Many 12V and 24V systems claim to have IEC and UL testing and certification, however for the most part this testing is for the cells within the batteries only and not for the complete battery and Battery Management System (BMS) as SPB have undertaken. SPB have undertaken this important step in order to ensure the Sentry Lithium range is of the highest safety and quality so that our customers can have complete piece of mind.